Linda started classical piano at age four and took up clarinet at eleven and bassoon at thirteen. At fifteen, Linda dabbled on electric bass playing jazz in the high-school big-band and community big-bands while performing with amateur musicals and playing a lot of Red Hot Chili Peppers. In 2002 she was accepted into the W.A Academy of Performing Arts and started taking lessons on double-bass. Linda was one of six chosen to compete for the James Morrison Scholarship in 2003. In 2004 she was a winner of the IAJE Sisters in Jazz collegiate competition where she was one of five females for the Sisters in Jazz quintet at the 2004 annual IAJE convention held in NY under the direction of Renee Rosnes. She has completed an invitation-only honours program at W.A.A.P.A, receiving first-class honours for her thesis is titled, "A New Approach to Rhythmic Bass Improvisation: an exploration of rhythmic devices used by Dave Holland and the rhythmic aspects of North Indian Classical Music." In 2005 she received the Bob Wyllie Scholarship awarded to the best graduation recitalist and the West Australian Youth Jazz Orchestra (WAYJO) Scholarship. Linda has composed for the WA Youth Jazz Orchestra, the WAAPA Big Band and the WASIJ Big Band. In April 06, Linda was invited to attend the Betty Carter Jazz Ahead program in Washington DC and in May 06 participated in the Banff program for creative music. She was also a recipient of the ASCAP Young Jazz Composers Award 2008 and has just completed a Student Academy Award nominated film entitled "Wianbu" by James Bang. 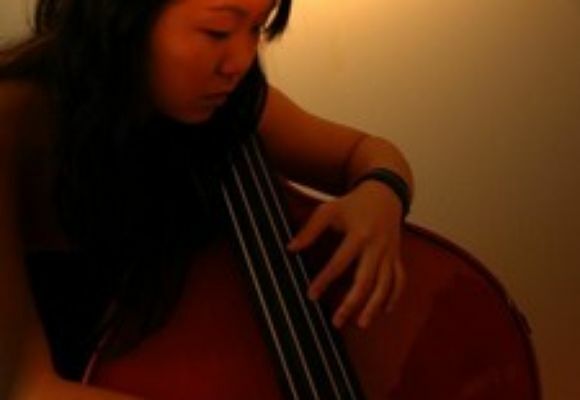 Linda now lives in New-York City after completing her Masters at the Manhattan School of Music and plays upright bass and electric bass around town. She also leads her own groups including the big band the Lohdown and political rock band the Lost Unterhosen. She is currently working on her trio album which will record in November with Obed Calvaire and Ambrose Akinmusire.